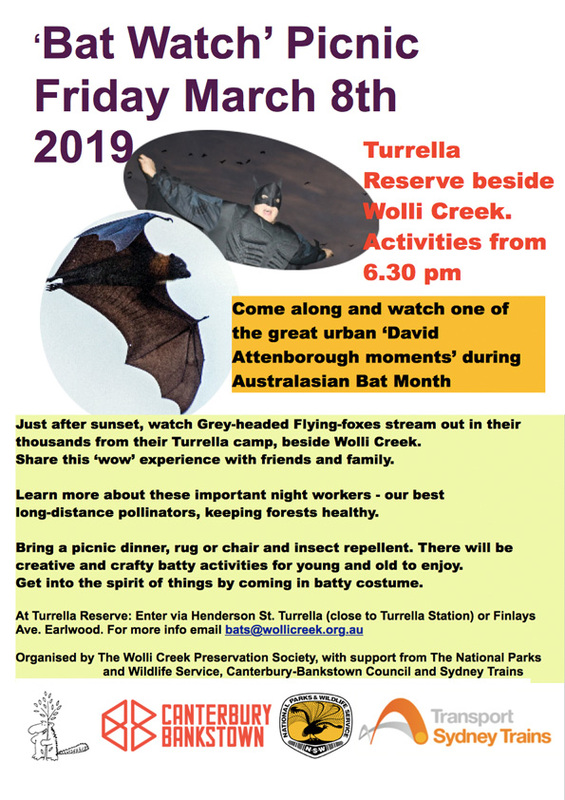 This is a great family event, and an opportunity to see one of the great ‘urban David Attenborough moments’, as thousands of Grey-headed Flying-foxes stream out from their roosting camp beside Wolli creek. Learn more about these fascinating native mammals. BYO picnic, rug, chair, insect repellent.